Verse of the Week boards | Make a V.O.W. Join the challenge today! 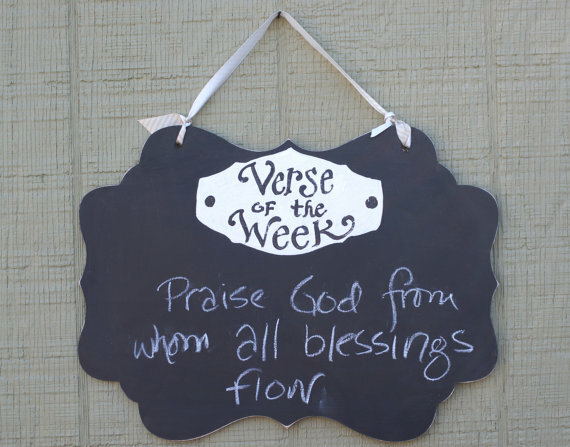 Hang a Verse of the Week board to your home, and start adding a new verse each week. Each night at dinner or every morning at breakfast, recite the verse with your family and work to memorize it by the end of the week. To make things even easier, you can purchase a Verse of the Week board. Part of the proceeds from sales of the Verse of the Week boards go to support ministries–ministries including Healing Hands International for water wells in South Africa, Bring Love In: A ministry helping support widows and orphans in Ethiopia & Hope Unlimited, a local pregnancy Crisis center.